Hot on the heels of the launch of the new Skoda Rapid Spaceback, SEAT has cut the prices of its Toledo that shares the same underpinnings by £2,500. That means the Toledo starts at just £10,000, compared to £12,755 for the equivalent Skoda Rapid notchback and £14,300 for the cheapest Skoda Rapid Spaceback (that comes with a higher spec and a 86PS 1.2TSI engine). The £2,500 discount pulls the price of the Toledo S with 86PS 1.2TSI engine down to £11,595. Other 4th Quarter 2013 offers from SEAT include the Mii Toca with satnav and parking sensors on a PCP deal for £79 a month. This is a 36-month PCP with 4.9% APR, and requires a £2,719 deposit. Next up is the Ibiza SC, available in Toca specification for just £9,995. So for less than ten grand, a customer can drive away with a stunning supermini including satellite navigation, Bluetooth, 16-inch alloy wheels and dark tinted windows. That's a £2,700 saving on the RRP. Across the rest of the Ibiza range, all FR models have £2,000 off, as does the very rapid, range-topping Ibiza Cupra - now just £16,765. Meanwhile, the free Technology Pack offer for the Leon continues, meaning all SE and FR cars can have satellite navigation, DAB digital radio and full-LED headlights for nothing, as opposed to the pack's £1,075 retail price. 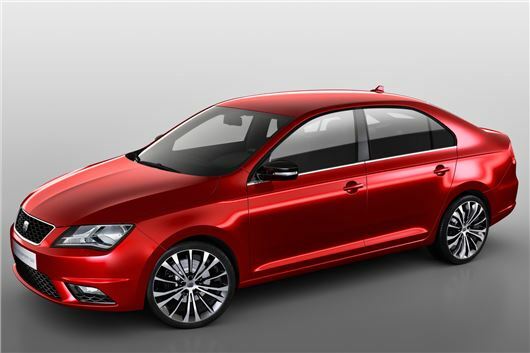 SEAT is also offering a £1,000 deposit contribution across the Leon range when purchased on a PCP, and 4.9% APR - which means the monthly payment on a new Leon SC SE 1.2 TSI, including Technology Pack, is just £165, though this offer requires a £4,771 customer deposit, £1,000 of which is paid by SEAT. For the Altea and Altea XL ranges there's a £2,500 deposit contribution across the range, with a PCP, and every model is available with five years 0% on hire purchase, with a 35% deposit. And it's exactly the same story with the Alhambra line-up. Motability drivers will be able to enjoy a SEAT Leon with no advance payment on certain models, while there's also no advance payment on certain Mii, Ibiza and Toledo variants; in total, SEAT is offering 46 vehicles with £0 advance payment, including the very highly equipped and fuel-efficient Leon 1.6 TDI SE. I LOVES SEAT MOTORCARS YES I DO THANK YOU!